After over two years of judicial battle, the Independent Corrupt Practices and Other Related Offences Commission (ICPC), has secured 7 years jail term for Mr. Donald Orya Anagenda, an officer of the Universal Basic Education Commission (UBEC), Abuja, for conspiracy; and 12 years for Mr. Iho Anum Achusa, a former Chairman of Benue State Universal Basic Education Board (SUBEB), for conspiracy and abuse of office respectively. The convicts had earlier been arraigned before Honourable Justice A.A. Anum of Benue State High Court 2 sitting in Makurdi who is now the State Chief Judge on a 4-count charge of contravening Sections 12, 18 (d), 19 and 26 (1c) of the Corrupt Practices and Other Related Offences Act, 2000. They pleaded not guilty to all the charges brought against them and that set the tone for a long legal tussle. The two officers were charged for “conspiring among themselves to knowingly hold indirectly a private interest in the contract awarded to Brown Sugar Global Resources Limited” for the training of some Benue teachers on ICT to the tune of N97,500,000.00 when the 2nd accused, Mr. Achusa, in his capacity as the Benue State SUBEB chairman informed the 1st accused, Mr. Orya about the contract that was to be awarded by his office. Based on the said information, Mr. Orya, approached his female friend, one Miss Blessing Amadi, the owner of Brown Sugar Global Resources Limited to release her company to bid for the contract. Consequently, Miss Amadi, wrote to Fidelity Bank requesting that Mr. Orya be made the sole signatory to the company’s account which he used to secure the contract from the former SUBEB chairman. Mr. Achusa was also accused of accepting the sum of N14,900,000.00 as gratification from Mr. Orya on account of the contract that had been awarded to Brown Sugar Global Resources Limited. The court was told how Mr. Orya being the sole signatory to the company’s account transferred the above sum into Mr. Achusa’s First Bank and Access Bank accounts. The Commission had also in the course of its investigation recovered the sum of N5,000,000.00 from Mr. Orya as the profit he made from the contract awarded which was tendered in court. The prosecution, in proving its case, called a total of seven witnesses and at the close of the case, the accused persons entered a no-case submission. In a ruling, the court ordered the accused persons to enter their defence having determined that the prosecution had made a prima facie case against them, which they did. In his final judgment, Honourable Justice Anum, having considered the totality of evidence adduced in the course of the trial by the prosecution, and recognizing that it had discharged the burden of proof placed upon it by law beyond reasonable doubt, convicted the two officers on Count One to seven years imprisonment each without option of fine. He further found Mr. Achusa guilty on Count Three and sentenced him to five years jail term without an option of fine to run concurrently with the earlier sentence. 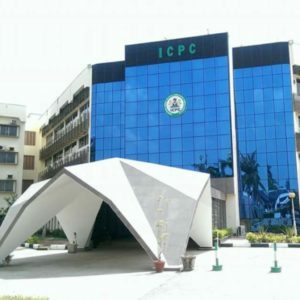 ICPC remains resolute in its effort to bring perpetrators of corrupt acts to book and rid Nigeria of the menace.